DO YOU WANT TO HAVE A WELL PAID JOB IN THE UNITED KINGDOM? Fill in the form and take part in the selection interviews for Construction Workers in the United Kingdom. The event will take place in Budapest on May 19! 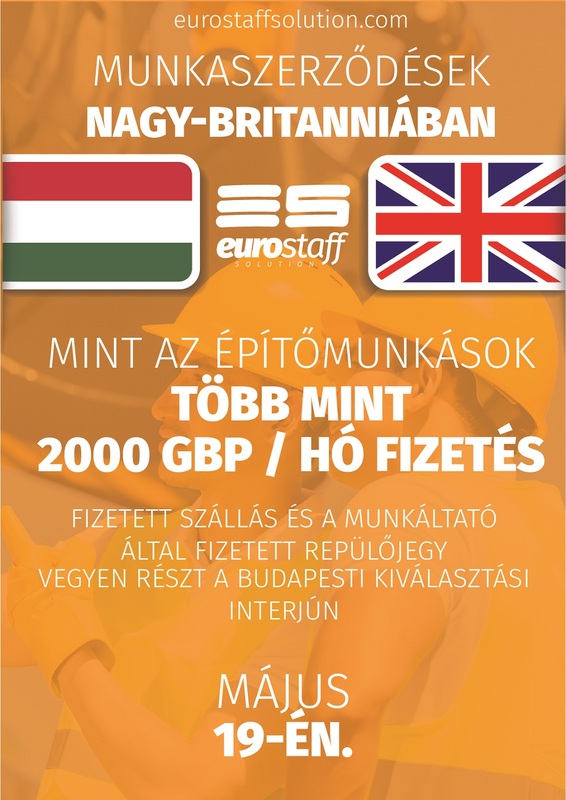 A prestigious British company is now looking for Construction Workers to start work immediately. You can start with a salary of 1,990 – 2,360 GBP/ month and increase your earnings up to 2,400 – 2,800 GBP/ month (based on performance). Hurry up and confirm your participation and we will contact you and give you all the details. Don’t waste any time, the vacancies are limited!